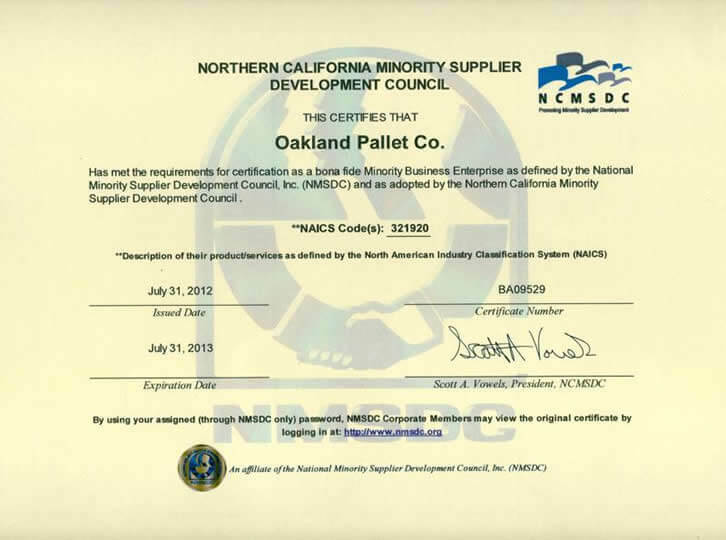 Oakland Pallet Co., Inc., was established in 1987, and is a privately owned and operated business. 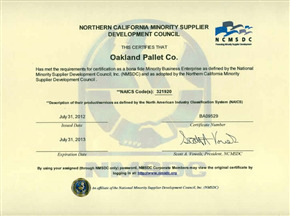 Oakland Pallet Corporate Headquarters, and principal production facility, is in San Lorenzo, California, located in the heart of the Greater San Francisco Bay Area. We staff over 200 employees throughout California, with multiple facilities to better service our customer’s needs. Our customer base is made up of many Industries including wineries, tech, food & beverage, major D.C.'s, and a variety of manufacturing companies throughout California.